This is little Greyson who was saved by a local shelter from a hoarding situation. Greyson brought into the shelter along with over 300 dogs who were all in desperate need of attention both medical and emotional. 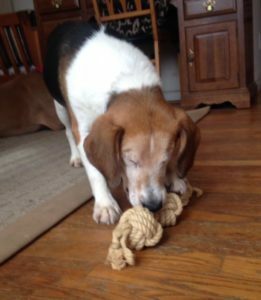 When Greyson went to the shelter he was suffering from glaucoma and it was determined that he needed to have his eyes removed. Roxie’s Fund was contacted and we willingly took Greyson under our care. 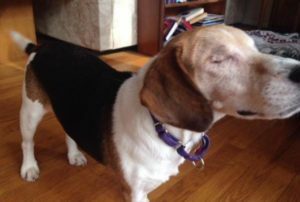 Greyson received all medical care, had both eyes removed and received all follow up and medical care required. Despite it all, Greyson recovered very well. Greyson is taking it all in stride! He nose still works perfectly and he loves to sniff and explore. And his ears still work perfectly, and you should see his tail wag when his human friends talk to him. He really stole our hearts, so we found Greyson a foster home where he has done fantastic! He is loves with his doggy brother and sister, and he makes human friends easily. He loves to go for walks around the block, and everyone he meets becomes a new friend. 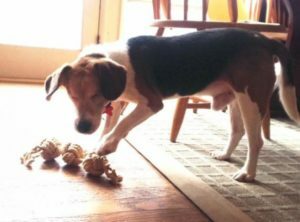 This special guy is one of the many animals Roxie’s Fund is 100% dedicated to ensuring they receive the best life can offer.